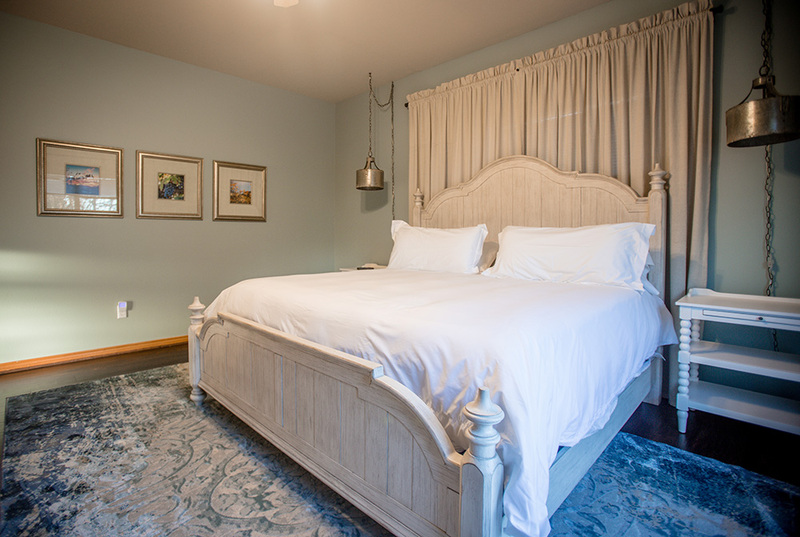 The Cottage is a newly remodeled, exclusive two-room accommodation on the private estate adjacent to the winery and vineyards. The cottage has one king bedroom, one queen bedroom, one shared bathroom, a living room, and a fully-outfitted kitchen and dining area. Located on a wooded hillside, a secluded forest porch is designed for peaceful reflection. Breakfast at the Kiepersol Restaurant is included. Check-in is at the Kiepersol B&B and then you will be escorted to the The Cottage. Your credit card will be charged one night's stay plus tax at the time of booking. A full refund, less a $25.00 cancellation fee will be granted if a room is canceled by 6:00 p.m. 48 hours prior to arrival. Cancellations received less than 48 hours prior to arrival date will be charged one night's stay plus tax. All rooms are non-smoking.